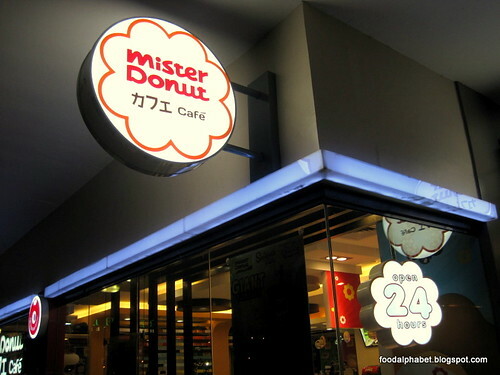 The Food Alphabet and More: Japan's favorite Pon De Ring now at Mister Donut Philippines! 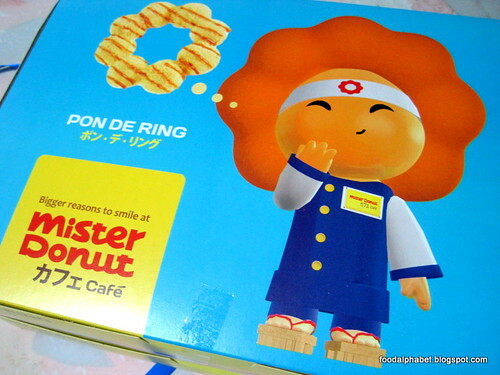 Missing thess Pon De Ring donuts for the longest time, as soon as I heard they were here, I immediately rushed to Mister Donuts and bought for myself a dozen Pon De Ring donuts to satisfy my cravings. Well, they did not disappoint. This is no ordinary donut, the Pon De Ring is like 8 pieces of mochi glued together and flavored with every possible flavor combination you can imagine. Neat right! 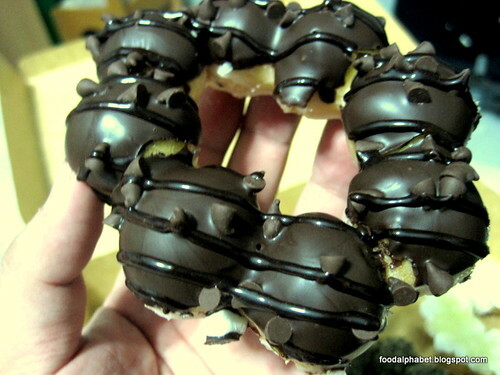 Bite into it and feel the soft chewy core of the Pon De Ring, but this I noticed on our local Pon De Ring, they are a little sweeter than the ones I used to have in Korea and Taiwan, I guess this is to suit the Filipino taste which in general do have a sweet tooth. But who cares, just as long as my tummy says ok, we're good to go. 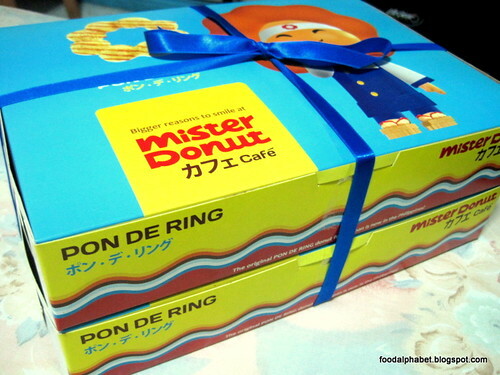 So head on to Mister Donut in Greenhills Shopping Center and have your share of Pon De Ring, I believe they are renovating all Mister Donut stores in the Philippines and sooner or later more stores will be offering the Pon De Ring. There are 2 kinds of Pon De Ring donuts, the Premium and Glazed variants, for the Premium one, a box of 6 is P220 while a box of 12 is P420. 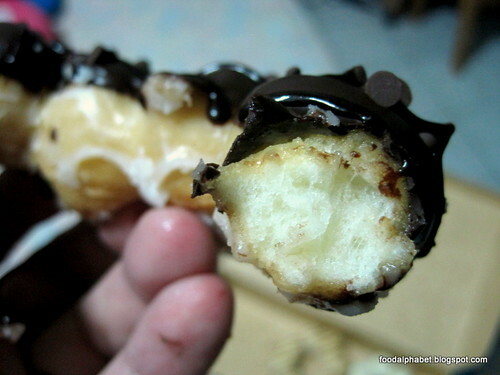 For the Glazed ones, a box of 6 is P160 and a box of 12 is P300. 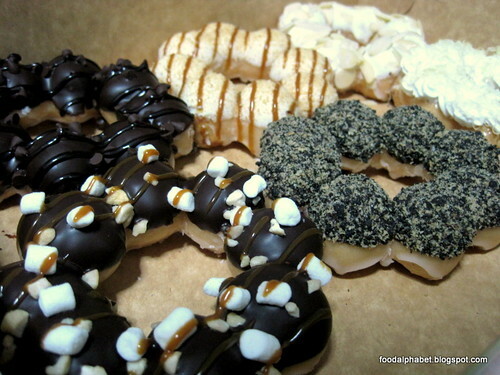 You can also have assorted flavors from 3 premium with 3 glazed for P190 and 6 premium with 6 glazed for P380. Have you had a taste of Pon De Ring? Did you like it? Share us your experience.